This festive, yet incredibly simple baked pork tenderloin is sure to make your mouth water with its blended spice rub and juicy, tender center. Serve with roasted red skin potatoes and a simple green salad for a perfect meal. 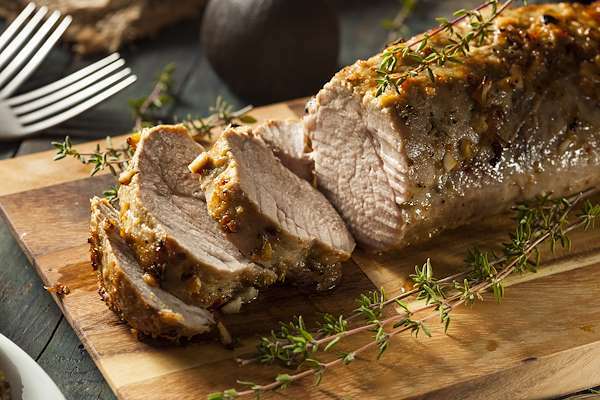 RecipeSavants.com This festive, yet incredibly simple baked pork tenderloin is sure to make your mouth water with its blended spice rub and juicy, tender center. Serve with roasted red skin potatoes and a simple green salad for a perfect meal. Smart Recipes, American Recipes, Pork Recipes, Recipes Pork American Baked Pork Tenderloin PT50M Serves 4 Ingredients: 1.5 Pounds Pork Tenderloin 1 Tablespoon Olive Oil 2 Teaspoons Italian Seasoning 1 Teaspoon Garlic Powder 1 Teaspoon Ground Cumin 1 Teaspoon Chili Powder 0.5 Teaspoon Smoked Paprika 1 Teaspoon Salt & Freshly Ground Black Pepper 2.5 Tablespoons Fresh Squeezed Lemon Juice Preheat the oven to 400 degrees. In a small mixing bowl, combine together Italian seasoning, garlic powder, ground cumin, chili powder, smoked paprika, salt, and pepper. Pierce tenderloins all over with a fork, coat in olive oil, and rub with the spice mixture. 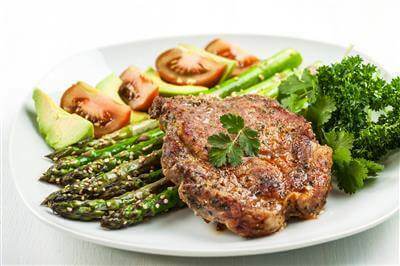 Arrange tenderloins in the prepared baking dish and drizzle with lemon juice evenly. Bake for 30 minutes or until the tenderloin reads 145 on a instant read themoter. Remove the pork from the oven and baste with rendered pan sauce. Rest for 10 minutes before slicing into thick madelions. Serve with a healthy dollop of the pan sauce. IF you enjoyed this easy baked tenderloin recipe, you'll love these fresh ideas. Pork chops and apples are a classic pairing. 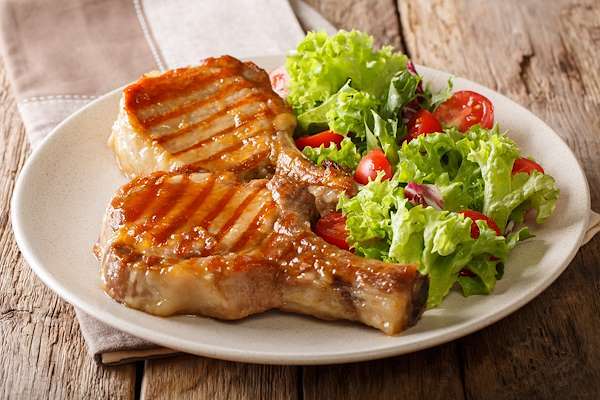 This recipe features succulent pork chops that have been marinated in a brine of apple cider and savory-sweet spices. They are covered with a creamy sauce of tart Granny Smith apples, raisins, mustard, ginger, and a splash of brandy. Pair this delicious meat recipe with a simple potato or rice side dish. This mouthwatering pork is shallow fried until crisp on the outside and nicely golden and then stir-fried with Asian seasonings. 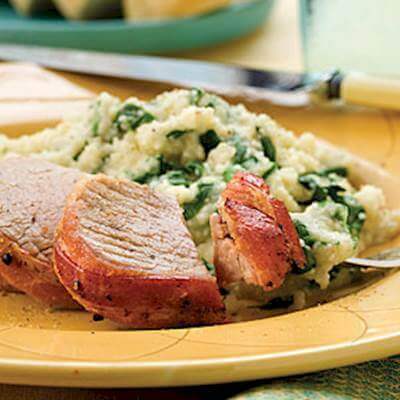 Serve this generously seasoned pork with sautéed vegetables and steamed white rice. You can't go wrong with bacon, and this meal is a perfect pairing. It's one of our top dinner ideas because it's simple and delicious. Juicy seasoned pork wrapped in mouth-watering bacon is always a win.